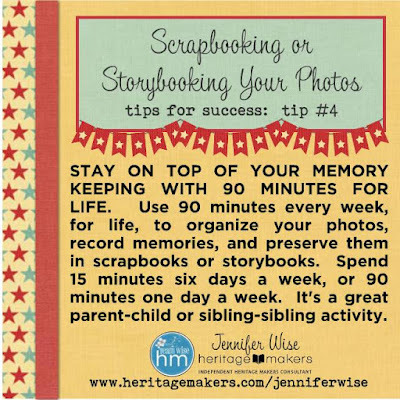 In today's digital age, we take lots and lots of digital photos--so many that actually doing something with them can be overwhelming and even seem impossible. But photos that aren't interacted with are forgotten. 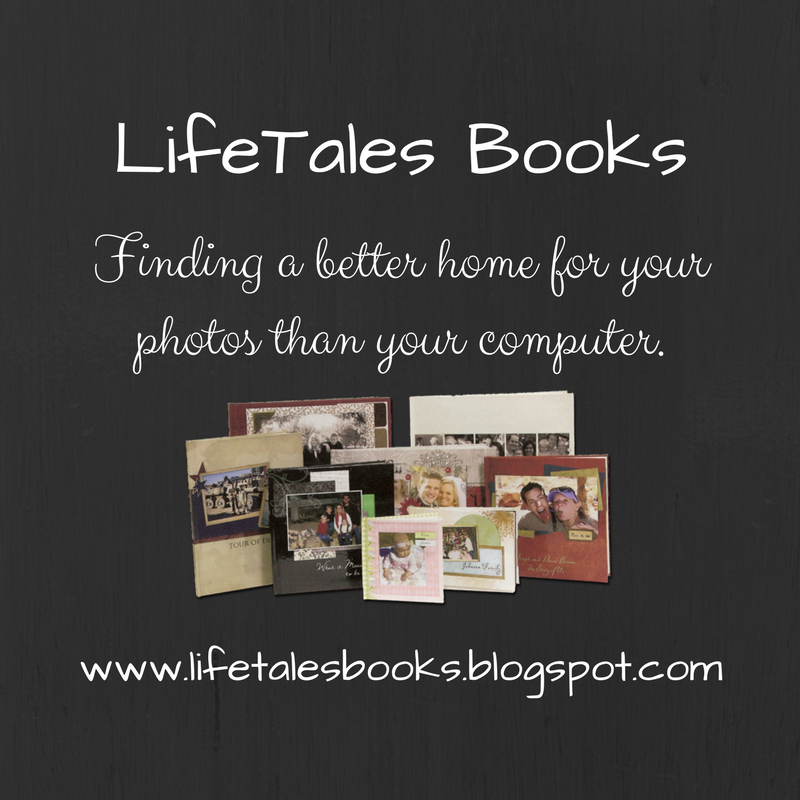 The memories behind them fade. 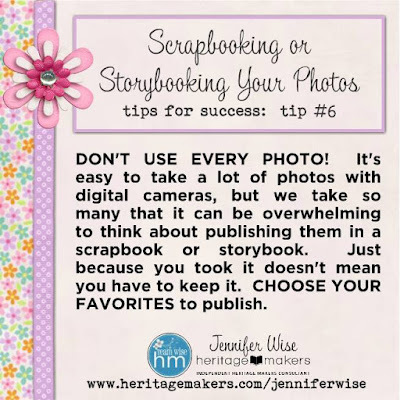 Photos need to be seen, held, and loved, not just amassed. 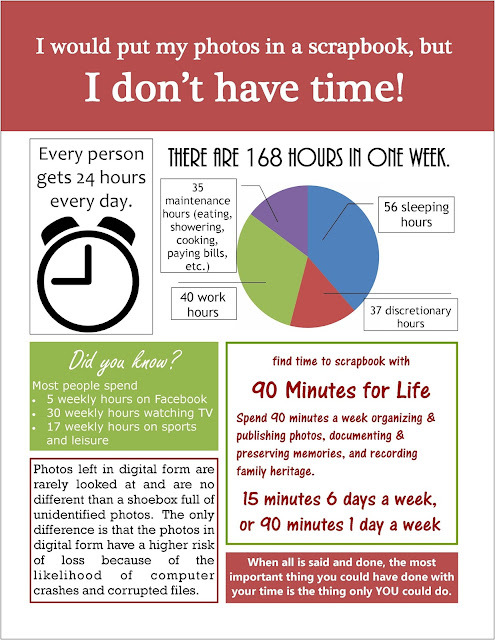 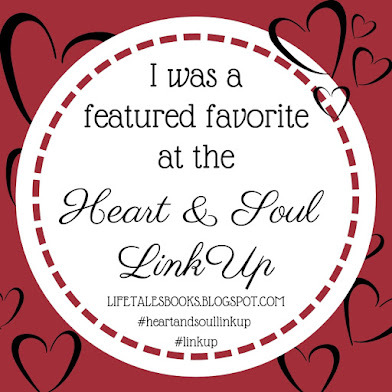 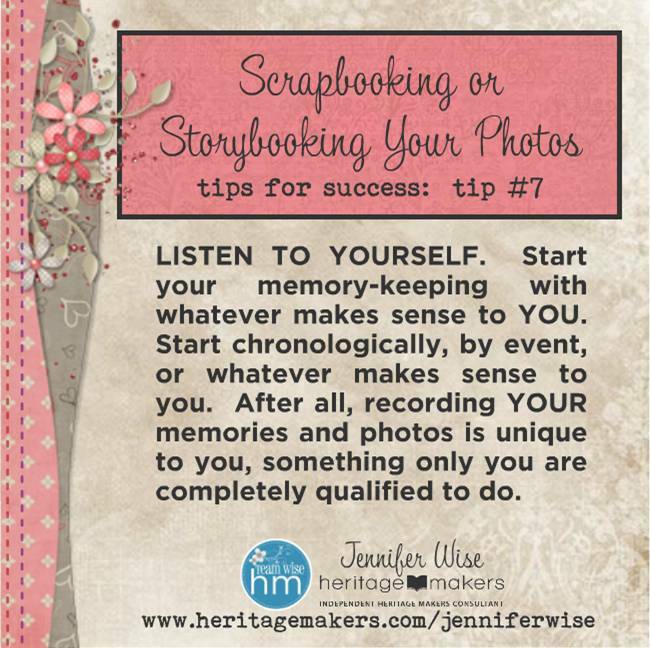 Click here for a post about finding TIME for memory-keeping. 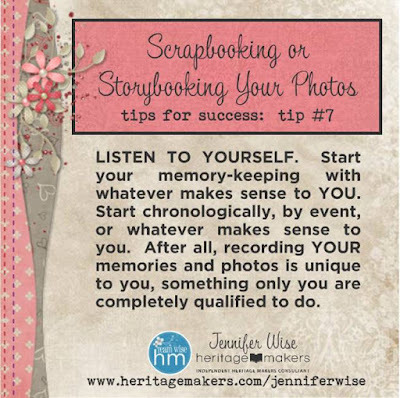 Click here for a post about finding MONEY for memory-keeping. 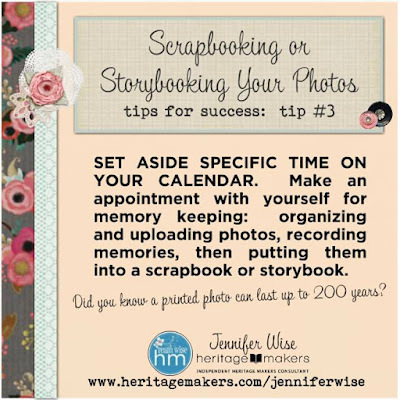 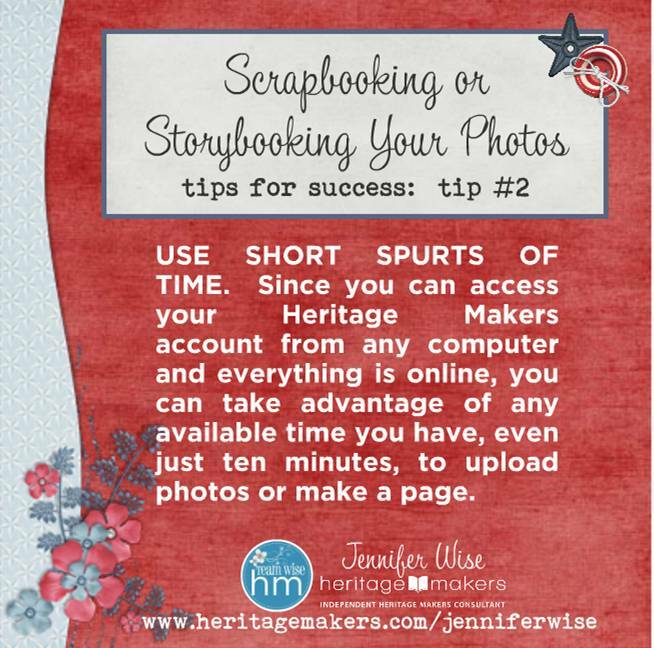 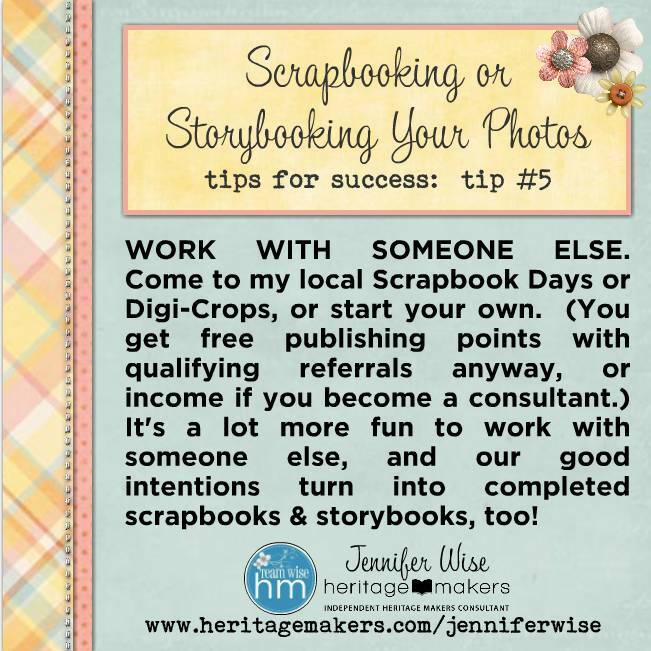 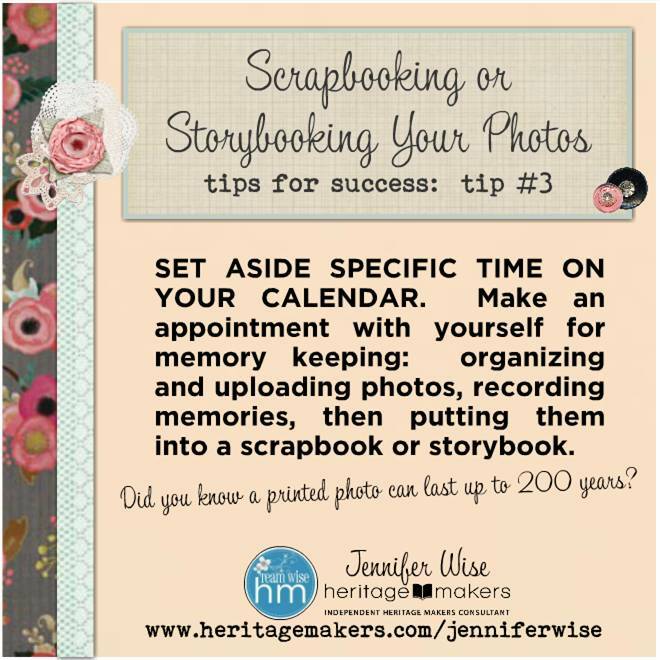 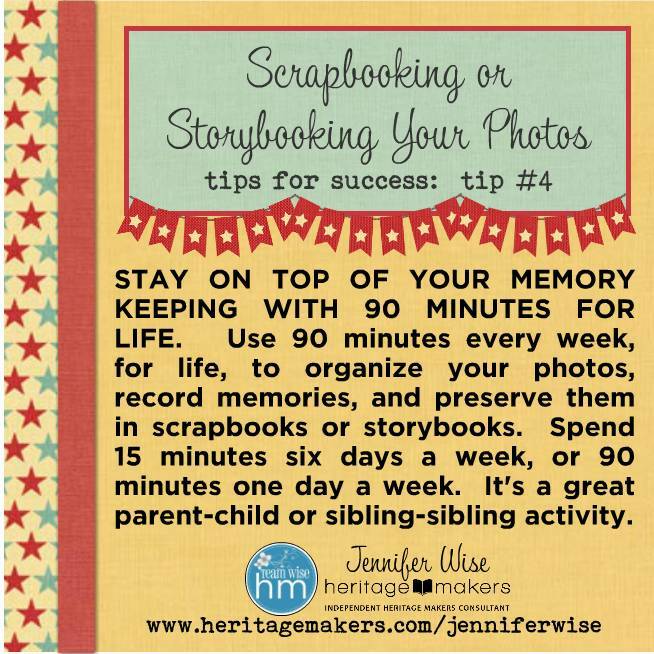 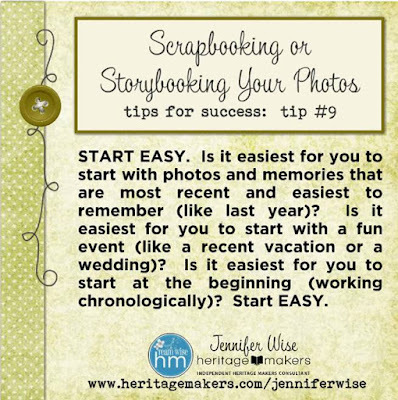 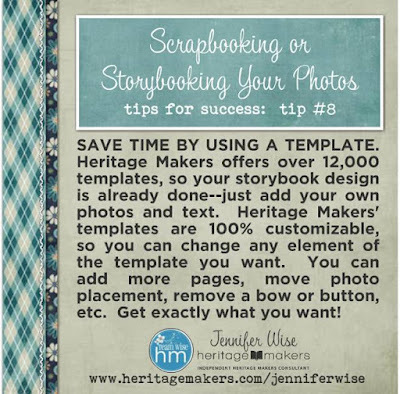 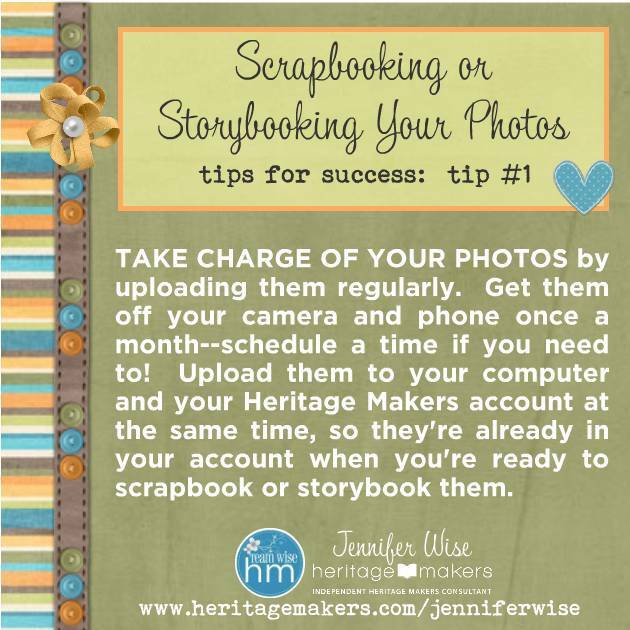 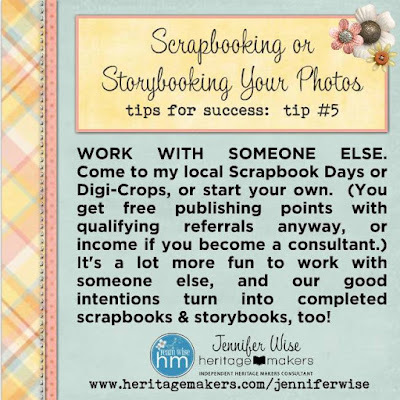 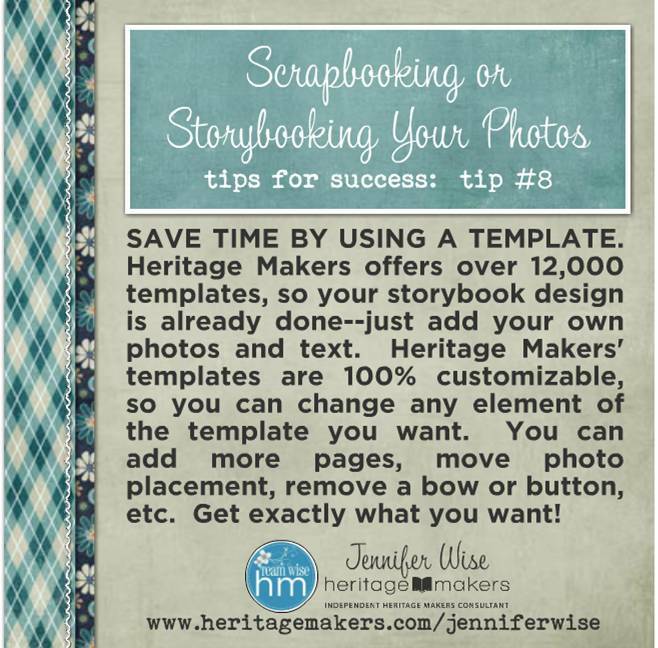 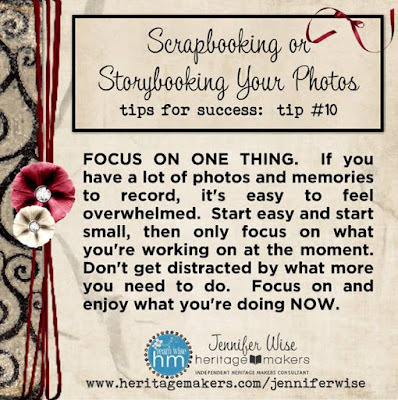 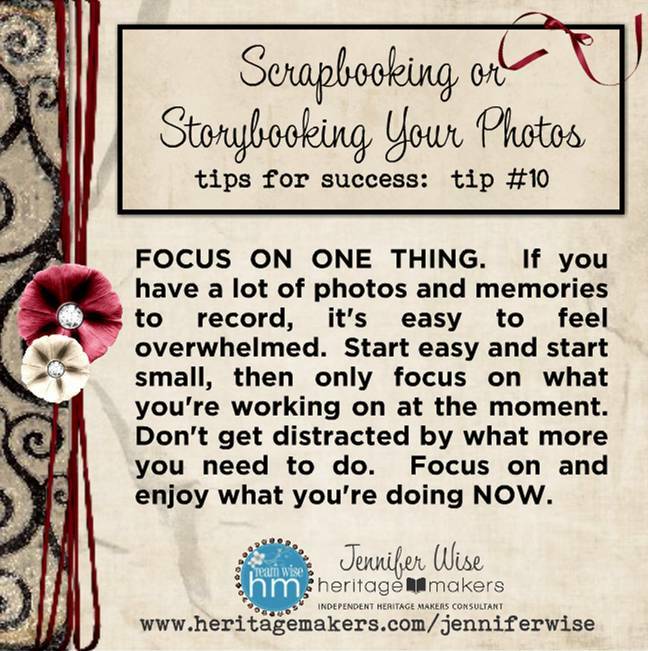 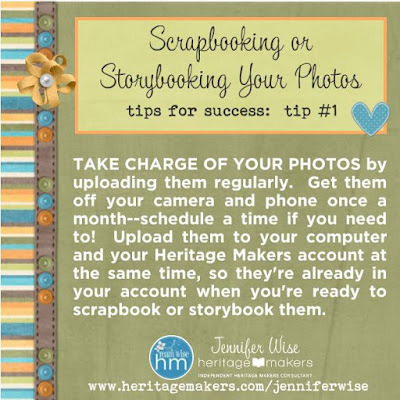 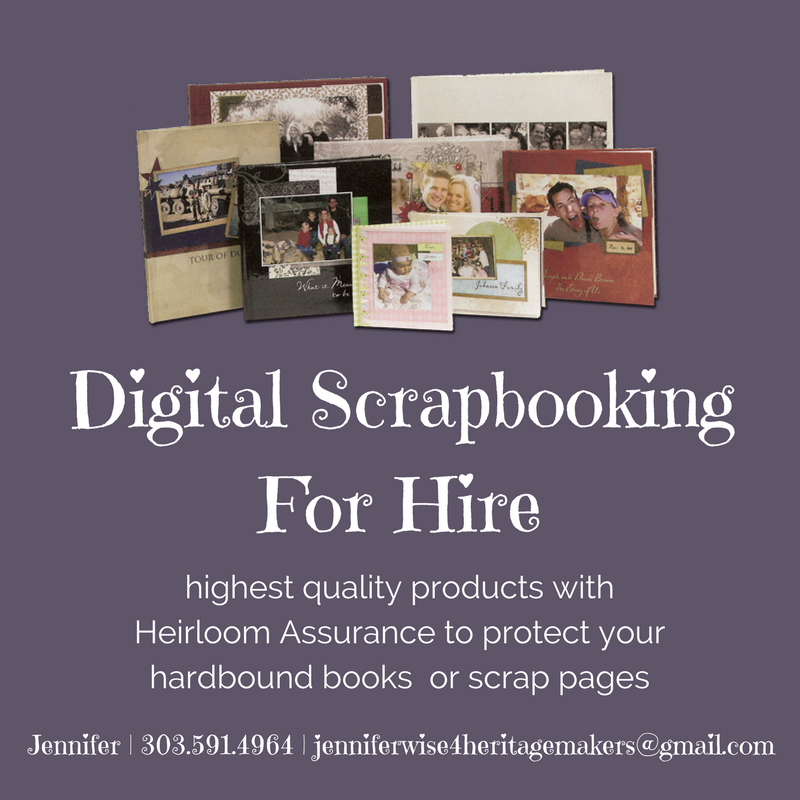 Click here for tips on scrapbooking faster. Below are some quick (visual) tips and ideas for making things a lot easier on you so that you can actually do something wonderful with your photos and the stories behind them.